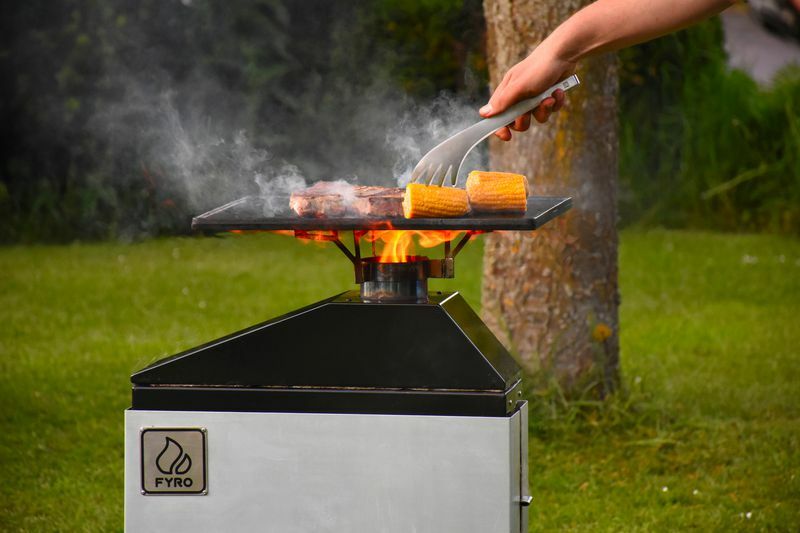 The FYRO stove burns wood and other biomass with a clean and powerful flame that you can adjust to the power level you need, making cooking with wood a truly practical and convenient solution wherever you go – for outdoor life or in your garden. 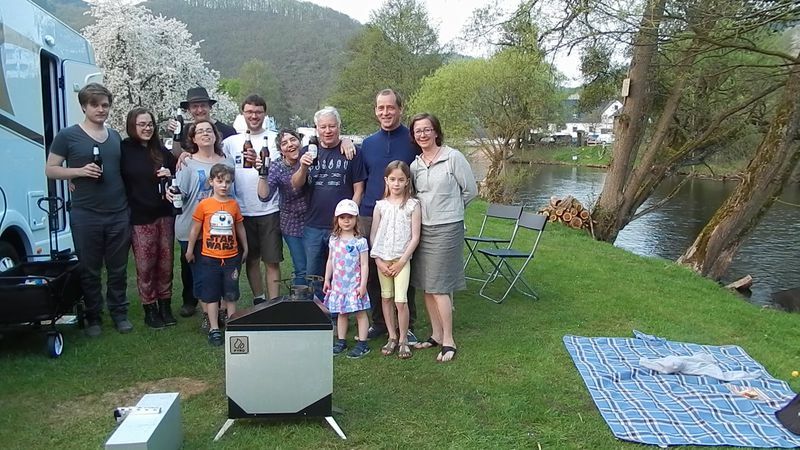 The stable power and long burn time of the FYRO Stove opens a world of opportunities for outdoor cooking with a level of control and convenience that is unparalleled for a biomass stove. 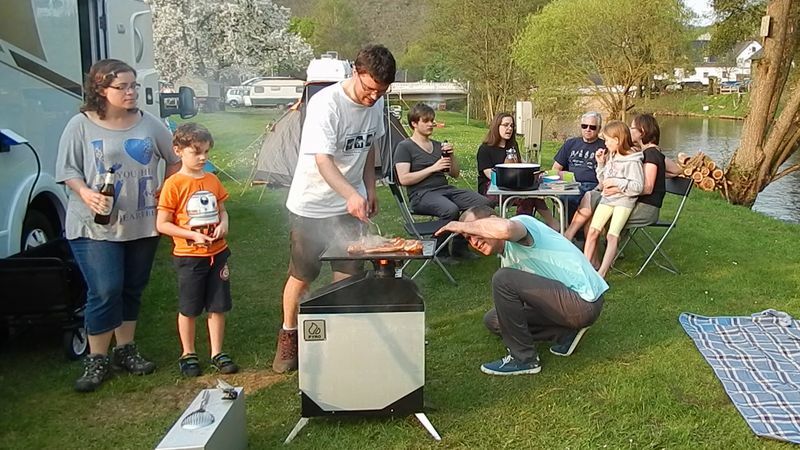 From a quick coffee to perfect French fries, the FYRO Stove frees you to move your cooking project to any place you desire. 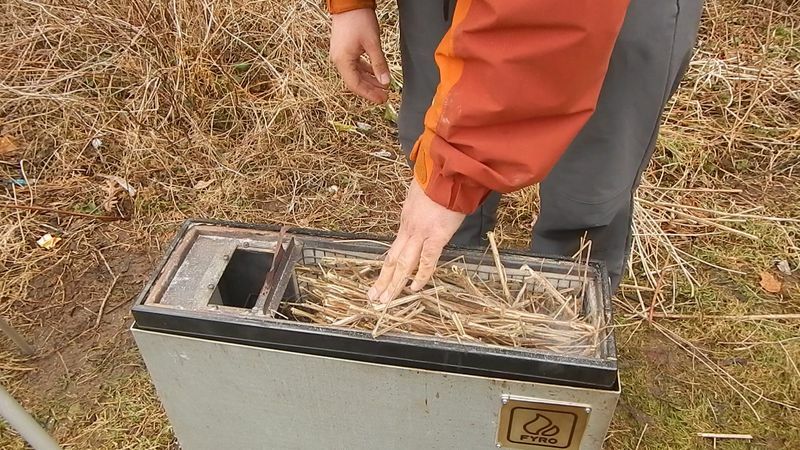 It works reliably with many different types of biomass fuel and you can use any fire starting method you like. 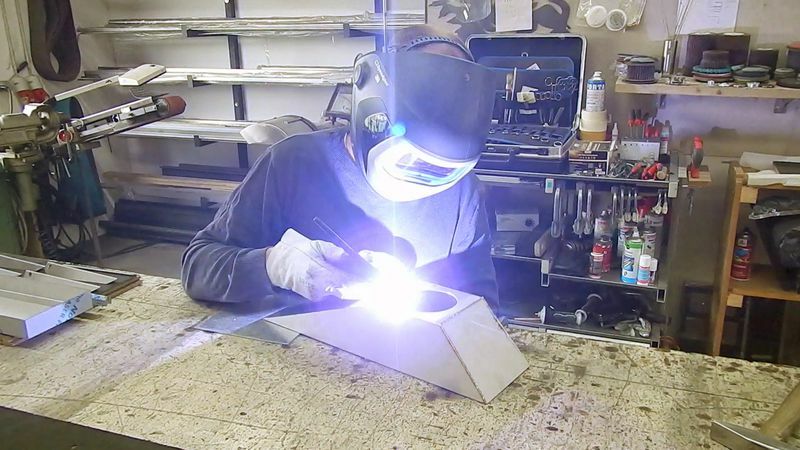 The novel design with a three-stage combustion process gives a powerful and clean flame that starts up with virtually no smoke in just a few minutes and burns stable for more than an hour until the next refueling. 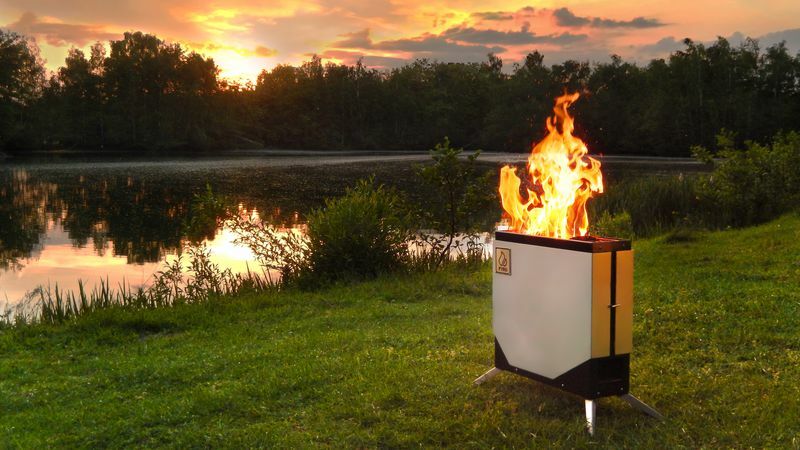 From searing to simmering, the stove will keep your desired power level constant so that you can focus on preparing fresh, delicious meals without having to worry about maintaining the fire. 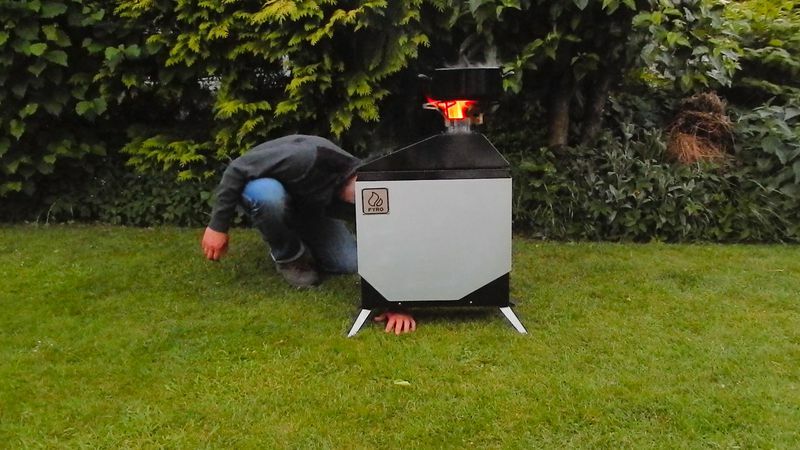 In essence, the FYRO stove combines the advantages of wood fuel with the convenience of a conventional stove. Just place a griddle instead of a pot on the stove. Since it heats up quickly, you will be ready to go less than ten minutes. The powerful flame drives the griddle to the temperature for a perfect sear, much hotter than a regular frying pan. That creates the delicious barbecue flavors without exposing your food to harmful smoke from burning fat. Perfect for fatty cuts like pork belly! Reduce the power if you’d like to continue cooking at lower temperature after the first sear. That is particularly convenient for larger pieces, vegetables and fish. 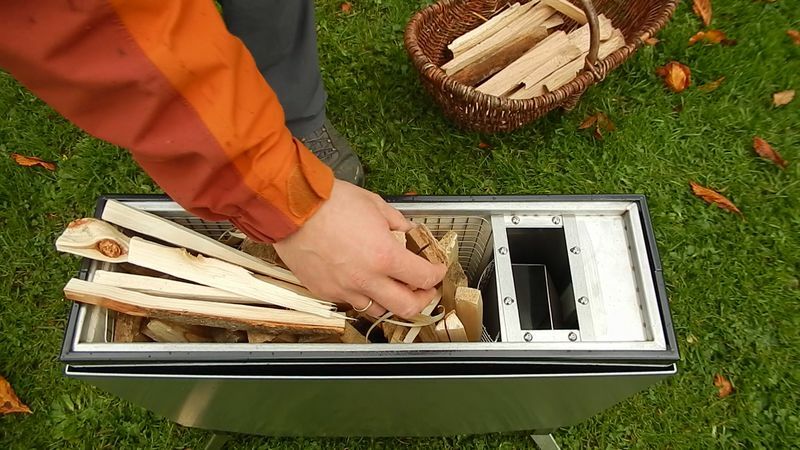 You can burn wood in the stove body without the secondary combustor and use it as a fire pit. The orange-hot focused combustion zone in the narrow combustion chamber reliably consumes larger pieces of wood without an elaborate fire build. Just add a new log from time to time to maintain the fire for a relaxed and care-free camp fire experience. Only ashes remain after the stove has burned out. This stove has all the power reserves you need if you are catering for a larger group. The carefully designed combustor focuses the fire into a powerful jet that heats up large portions in no time with outstanding fuel efficiency. 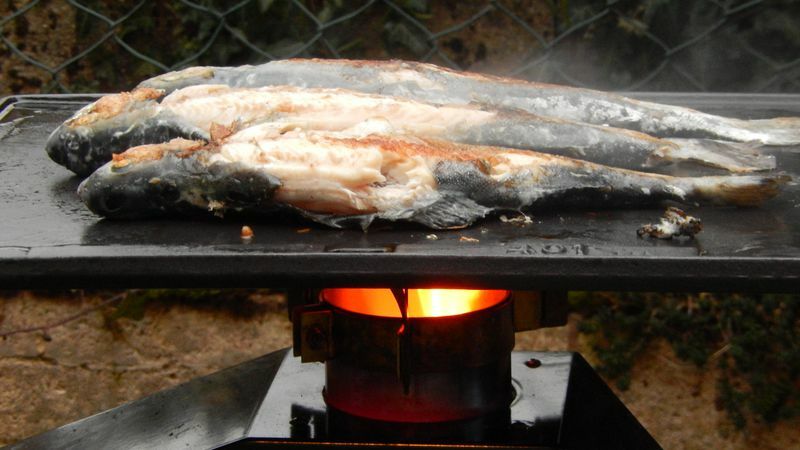 This hot stream of flames is so fast that the FYRO stove works even in moderate winds without a wind shield. 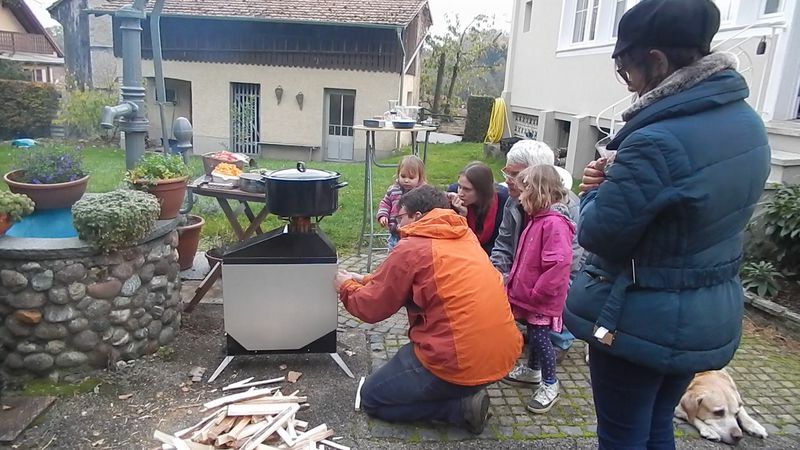 With an abundant biomass fuel supply from the nature around you, you can cook elaborate meals, melt snow and heat up water for a relaxed outdoor experience. 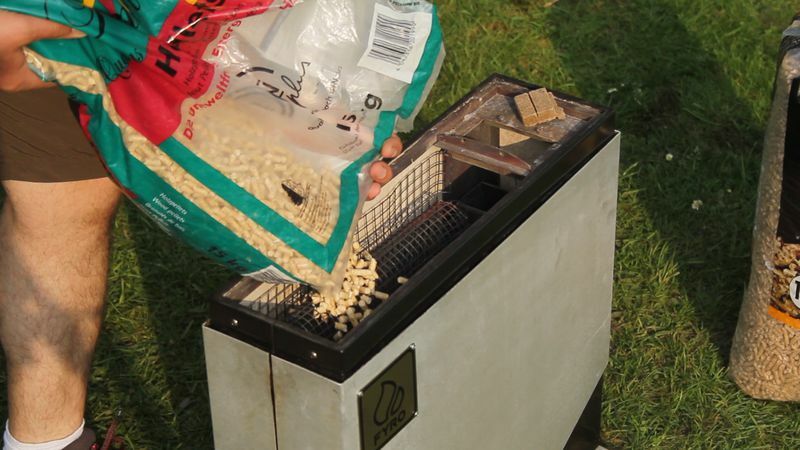 With one device you can cook, grill and enjoy a camp fire using any solid biomass fuel that is available. The stove burns twigs and branches, kindling, split logs, wood pellets with a suitable combustor inset, dry shrubs and reed. The innovative three-stage combustion process gives a clean, long-lasting and controlled combustion even with very dry and fine fuel. If your fuel contains a lot of moisture, you can bypass the second combustion step for a strong and aggressive burn. That is particularly useful if you rely on collecting wood from the nature. Biomass is inherently safer than any other fuel. Unlike diesel or gasoline, wood is simply a part of your natural outdoor environment and safe to transport and handle. 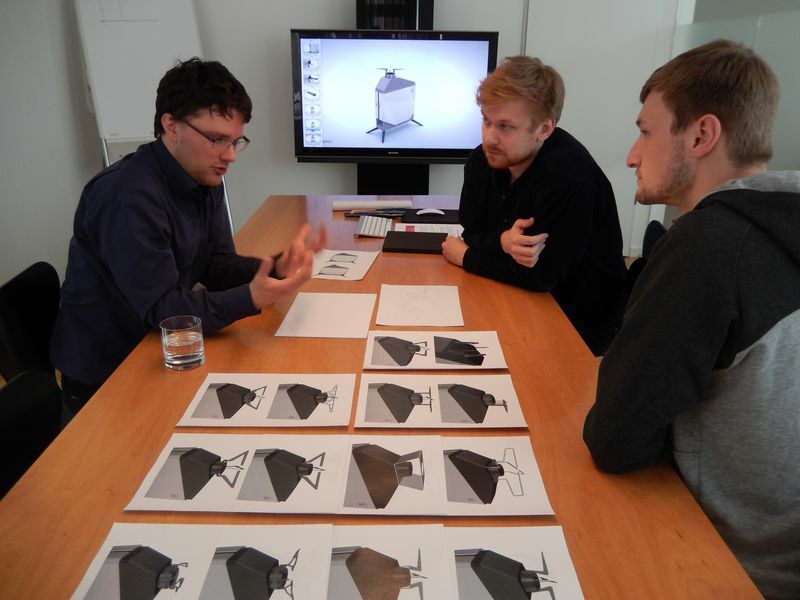 The FYRO stove has no pressurized parts and cannot leak. Therefore the stove is perfectly acceptable for air travel and other means of transport. The combustion chamber is closed off with grids and insulating walls so that the fire is reliably contained. The stable feet keep it safely supported. 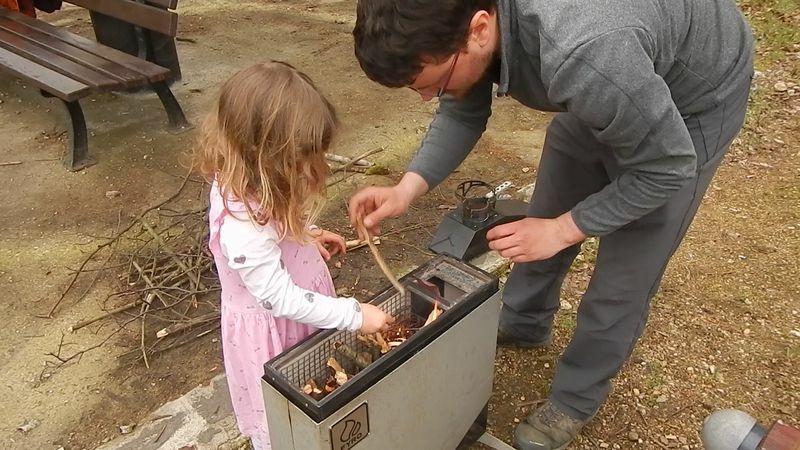 The FYRO stove only leaves a small handful of ashes behind when it has burned out. The combustion chamber is thermally isolated and raised above the ground so that the stove leaves the grass and soil underneath unharmed. With its clean combustion process, the impact of smell and smoke is much reduced. 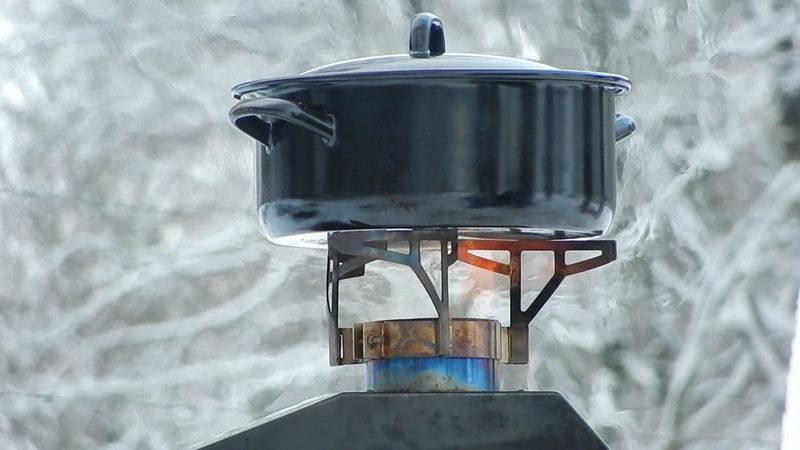 The stove is constructed from durable materials: Enameled steel for the hot stove body that keeps a shiny, resistant surface finish even during heavy use, stainless steel and other high-temperature materials for the red-hot inner parts, refractory bioceramics as thermal insulation, and anodized aluminum for the shell. The combustor design relies purely on natural driving forces and physical feedback effects to stabilize the combustion. 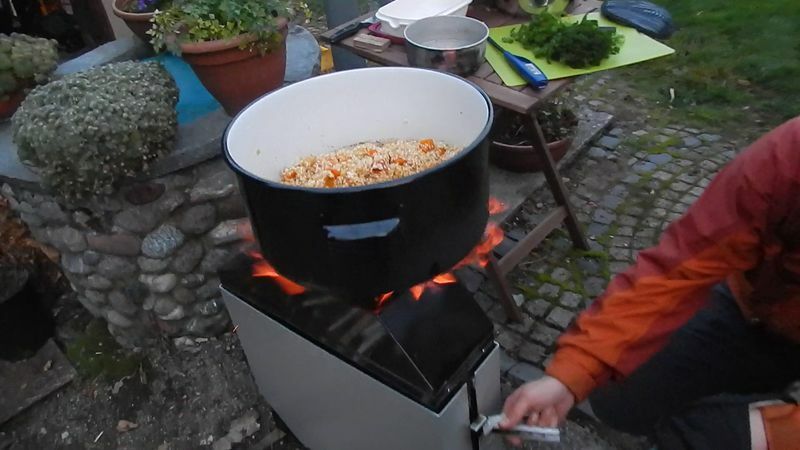 That keeps the entire stove simple and rugged. 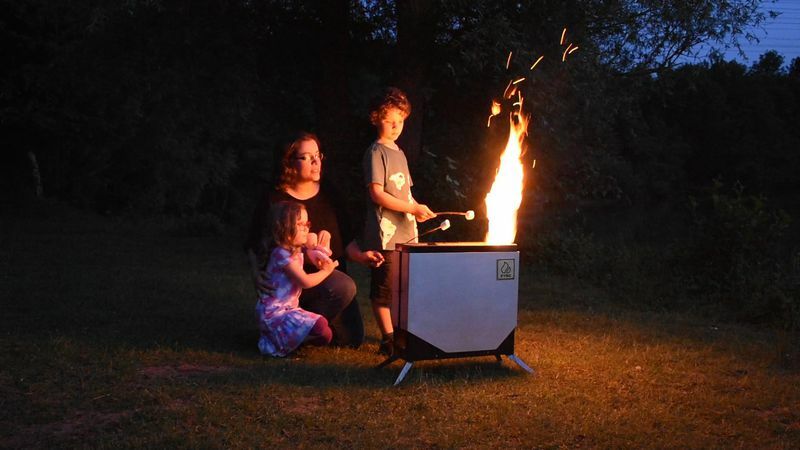 The FYRO stove is designed carefully to combine form and function into a product that brings joy every time it is used. 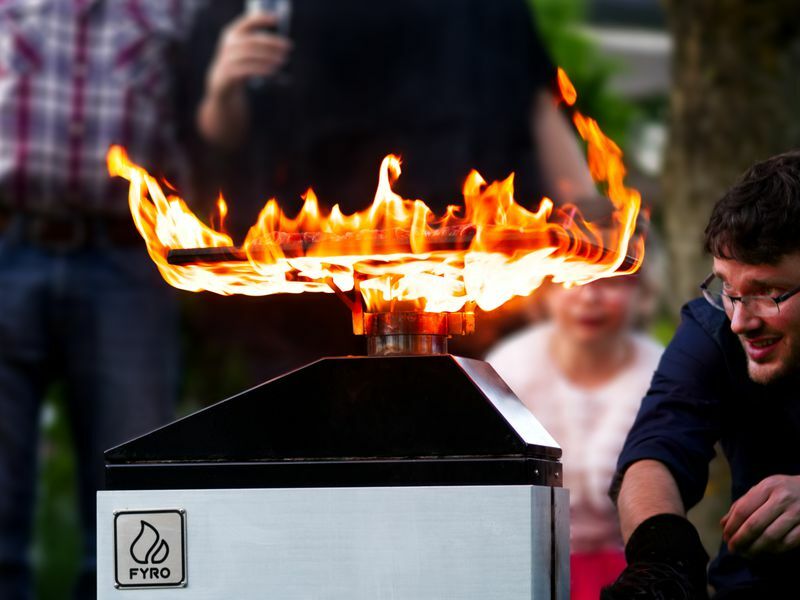 Satisfy your fascination with fire and observe how the swirling flame patterns react immediately to your control input! Despite the simple appearance, the FYRO stove is based on an intricate balance of forces that keep the combustion at its ideal setpoint. 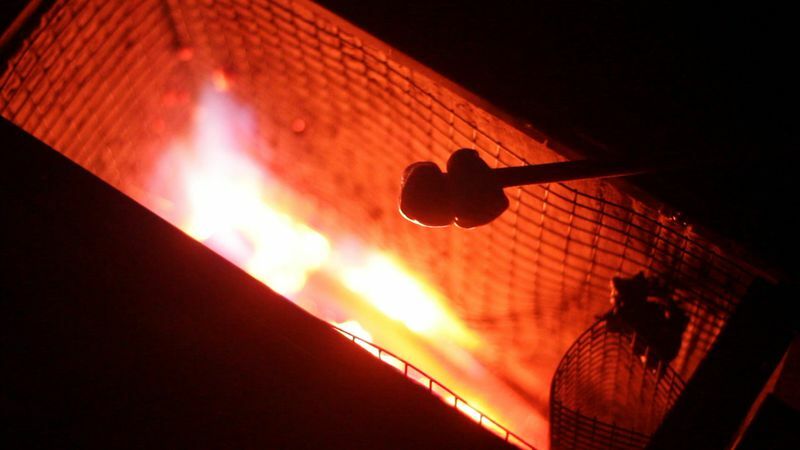 The combustion is separated into a primary pyrolysis step, secondary combustion with pre-heated air, and final burn under the pot. The fuel arrangement in the primary chamber ensures a gradual burn and recirculates the pyrolysis gases for a cleaner flame. The slider changes the geometry of the carefully designed mixing nozzle, which controls the pyrolysis rate in the primary combustion chamber and mixes the gas stream with preheated secondary air. A voluminous secondary combustion chamber with an optimized flame holder lifts the secondary air through the preheater with an injection pump effect, quickly ignites a stable flame and ensures a complete combustion of the pyrolysis gases. But you don’t have to worry about the complexity of biomass combustion. Using the stove is straightforward and you can focus on your cooking! Our combustion technology is patent pending. Work on FYRO is currently suspended. Make sure to subscribe to our mailing list to stay up-to-date when we start picking up the project again! 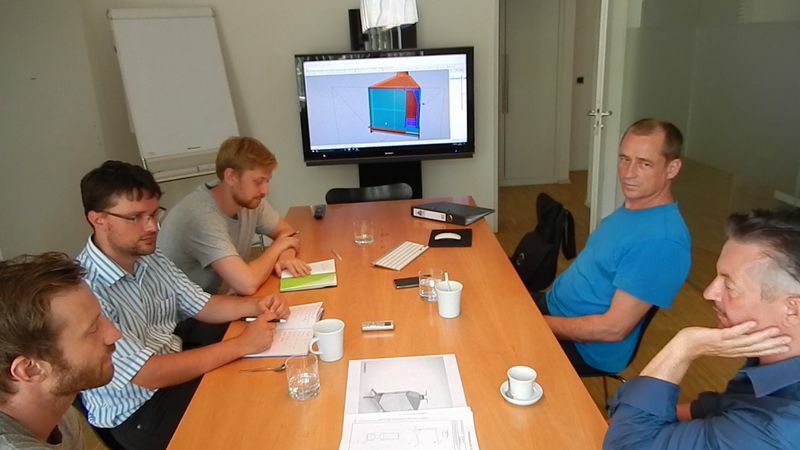 We’d love to hear your feedback, answer your questions and keep you updated on the progress. 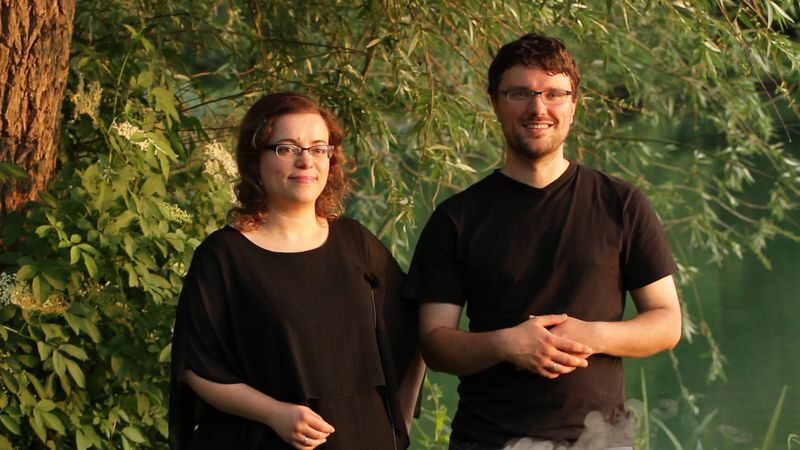 Join us on Facebook and YouTube as well!